The Microsoft and TechStars Kinect Accelerator program for 2012 has chosen 11 startups (out of 500 who applied) to develop apps for Kinect. Those chosen will get $20,000, free office space for three months and will be based in Seattle, USA. Since Microsoft has opened Kinect up to developers an amazing raft of applications have been conceived and developed. • Freak’n Genius lets anyone animate using Kinect. 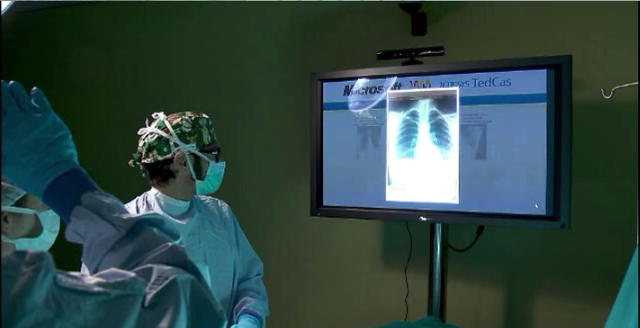 • GestSure Technologies brings gestural, touchless interfaces into the operating room. • Ikkos uses algorithms to teach movements. • Jintronix uses Kinect and 3D gaming to improve rehabilitative therapies. • Kimetric is in stealth mode. • Manctl made a cheap 3D scanner using Kinect. • Nconnex is using the Kinect to rethink healthcare, e-commerce, and education. One of the products lets you try furniture before you buy it. • Styku wants to reinvent how you shop online by giving you an avatar that lets you ‘try on’ clothes before you buy it. • Ubi can turn any display into a 3D touch-screen. • Voxon wants to democratisde 3D tech by letting artists, filmmakers, and game designers dabble in 3D more freely. • Zebare is in stealth mode.